A year ago this weekend, I photographed a sweet wedding at the Celebration Farm in Eastern Iowa for Katie and Jackson. At the wedding, during family photos, they told me Jackson's sister (Mariah) and her fiancé (Will) were getting married the next year. I ran up to them at the end of the day, handed them my business card, and the spent about a week in bed recovering from the worst cold I'd ever had. Possibly because I'd been sick, I didn't remember that interaction until I received an email in the winter from Mariah-- asking if I'd be interested in photographing their destination wedding in Colorado!!!! Fast forward a year, and here we were! I hadn't been to Vail, Colorado since my childhood. It was a treat to be deep in the mountains for an outdoor wedding (on a wedding island!) during the summer months. 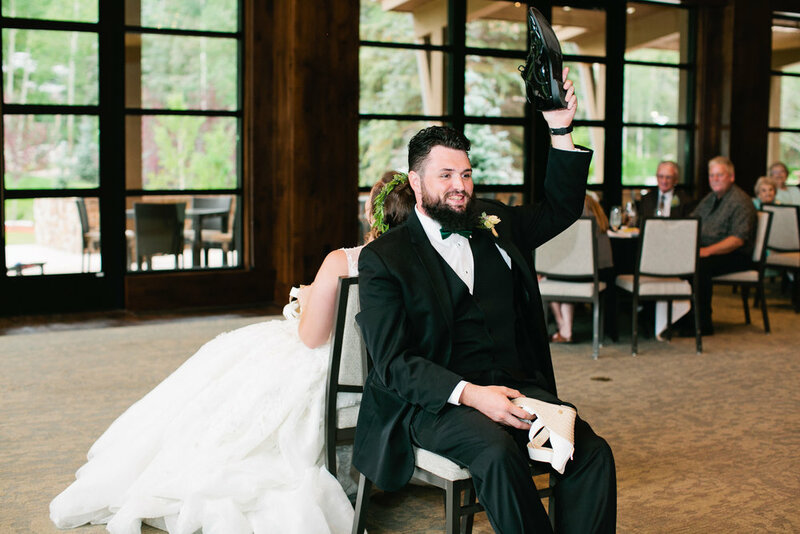 The venue was fantastic-- if you're looking for a Colorado wedding venue that does it all, and does it well, look into the The Vail Golf & Nordic Clubhouse! Plus, the mountain views are incredible. The entire crew started out the day in a rented home on the property (air bnb is so great!). It had a POOL. And like 14 bedrooms or something. ;) Perfect for the families and bridal party to get ready for the big day. CAN YOU HANDLE MARIAH!? 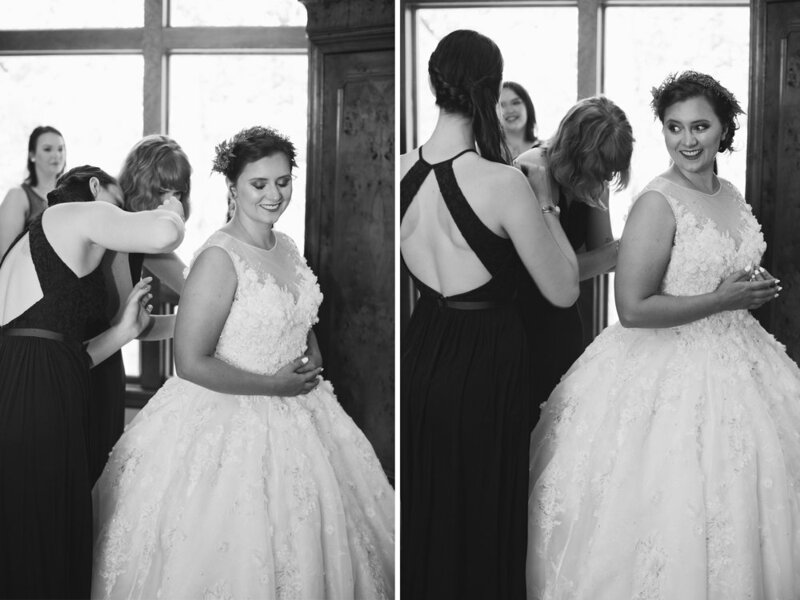 She was seriously the most stunning bride! That dress was perfect on her--and Will was totally surprised. Their first look was everything. Tears and tender moments. Yes pleeease. First look photos in front of a forest of real Colorado birch trees? Ok, sign me up! The following photo is one of my favorite photos from the entire day! I just can't get over the blue Colorado sky, those mountains covered in evergreen trees, and of course, the most amazing wedding couple! The clouds started rolling in as soon as the ceremony finished up, but thankfully, no rain! Just some simple cloud cover. The guests headed up to the Nordic Lodge for wine, cheese, and lawn games... and I got a little more time with the bridal couple & party for photos! On to the reception! After a little more mingling with guests (and some photos with cousins and friends, of course) everyone transitioned indoors to the lovely lodge at the Vail Nordic Center. The windows display the gorgeous Bald & Keller Mountains, the perfect view as the sun sets over the western mountains! After some amazing dinner food, the reception games started off with the classic shoe game. The DJ did a fantastic job with it, and had everyone laughing. Although we didn't get much of a sunset, the couple and I snuck out for a few "golden hour" photos with a view of the mountains that's hard to beat! The guests and bride and groom then proceeded to have one of the best dance parties I have ever witnessed! If I hadn't been so tired from walking, I would have totally joined in. 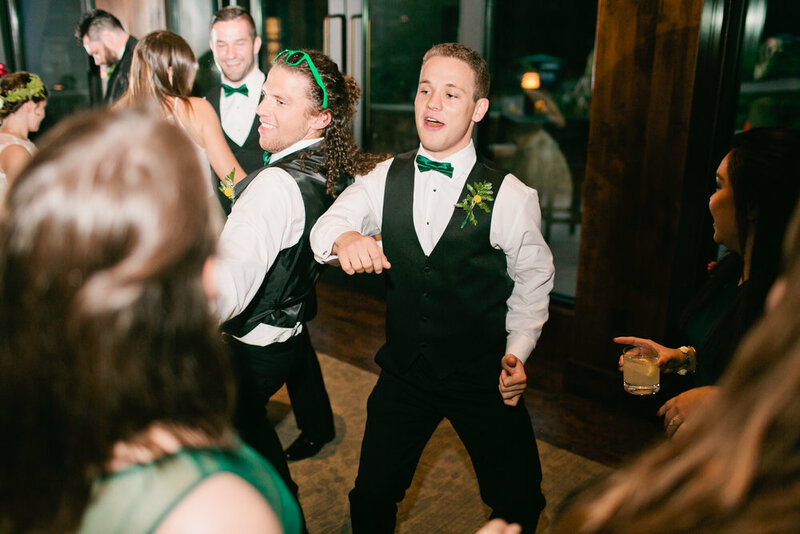 ;) Every wedding needs a group of friends who will get down on the dance floor with them, and Mariah & Will have that, no doubt!